A woman at the local Catholic Church, just after mass. This piece was originally written for the global health blog at change.org. When that blog was discontinued and the old posts deleted, I decided to re-post here for old times’ sake. Like millions of people the world over, I followed the recent winter Olympics filled with awe. Growing up as a competitive athlete, I experienced just a small measure of the burden Olympians bear in preparing for the games. I’ve broken bones, watched fellow athletes hospitalized and endured various dietary restrictions. Seriously training to compete is far from the healthiest lifestyle. As a public health professional, why doesn’t it bother me that would-be Olympians cause themselves enormous pain (let’s call their condition Olympyosis)? Perhaps for the same reason that I care little when a sick 90-year-old signs a do-not-resuscitate order, or when well-informed adults smoke cigarettes. Not all factors that influence wellness and long life are matters of inequity, and it’s only when poor health is structured by unjust circumstances that my conscience flares. I do care when smokers force their fumes upon passersby, for example. So I only work where my conscience sings, and somehow that clarity lends me great energy. Is this narrow-minded? Does anyone work in global health with motivation other than of serving the cause of justice? One of the ironies of development is that international workers often think we’re more motivated than our clients. It is so disheartening when an HIV+ mother gets her baby tested, but doesn’t return to the hospital to see the result, or when a client uses their free HIV medications to add kick to the local moonshine. This occasional soul-sucking sense of distrust, baffled incomprehension and lack of common cause is not unlike the view many recipients of aid have of westerners. How can we find common cause? 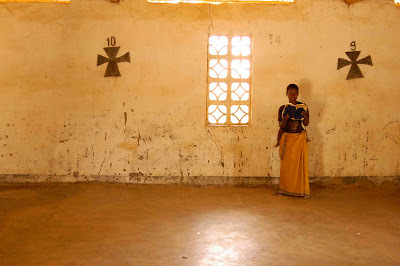 When describing how I connect with Malawian colleagues of varied educational and religious backgrounds, here are two words that don’t come to mind: secular rationalism. Our uniquely western manner of feigning objectivity and doing good while avoiding actual discussions of good and evil is really only sensible within our world-view. In contrast, how to create a just society is one of the world’s oldest conversations, with deep roots in every major religion and all advanced societies. My Malawian colleagues have shown me repeatedly that you don’t need a specific diploma or western world view to understand the injustice of maternal mortality when it’s described in moral terms. I also connect with my family through the language of social justice, as they are largely baffled by the niche language of health IT. Overall, framing my work in terms of social justice builds and reinforces personal relationships — ones that in turn make me more content, committed and productive. Until I discover an ability to bond with friends over a dose-response curve or a cluster randomized trial design, wearing a little passion on my sleeve is the way for me. How about you?